For the summer there are some unmissable articles or videos below to support your learning about how others achieve success. Learn about emerging trends and activities within our professional community. Catch up with The Forum's new approach to Learning & Development. See the just-released agenda for our November National Conferences. The new Learning Academy framework kicked off in June. Bespoke development is available for members and 10 online sessions are available for individuals from just £40. These exciting agendas for our November Conference were released this week. 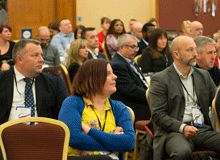 Reserve your place to see new trends & explore best practice. Forum Member James Stewart, Sky UK, reflects on his roller-coaster ride at the 24-hour European Championships and the resulting team medals. "Don't wait, you should know what to do!" It's never surprising that people, that is Operational Managers, Team Leaders, Frontline Advisors and even Planning, do 'things' which deviate from the original plan. Innocent, small decisions, which on their own would make little impact, but collectively impact the day. Phil Anderson has written about how we decide what is BAU and when we should act. On 11th & 12th September we are running our Operational Effectiveness Workshop in association with QStory. The Forum has joined forces with egSolutions to create a 2-day workshop dedicated to Back Office resource planning. The course has been designed to deliver best practice and thought leadership, through interactive exercises and lively discussion. Next course on 25th-26th September in Birmingham. 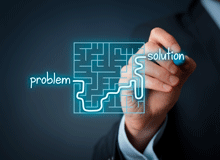 Problem solving can be a key enabler to success but how successful are we in the act of problem solving itself? Nicola Callan explores an alternative approach to solving big problems. It's not unusual to hear that organisations are 'reviewing their Quality Frameworks'. What's appearing to be an emerging theme through this is the desire to base a framework on the behaviours the organisation desires to be displayed by colleagues rather than what's necessarily right or wrong. Discover how Sainsbury’s Bank created an exceptional customer service organisation in this brand-new operation, through sheer, palpable enthusiasm. 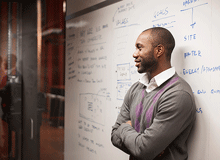 From end-to-end, collaboration isn’t just talked about but lived, embedded in the culture. Their ability to develop new tools and methods, at no extra cost, is built on a foundation of strong values, desire to improve and a pragmatic view of what is achievable. 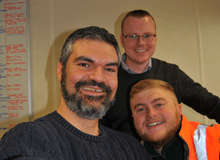 A new approach to scheduling for field engineers is transforming their working lives whilst de-risking the business and improving performance. Significantly, it has cut backlogs in the pilot areas by 78% in six months. What’s more, it has created ways of working based on a new-found respect and a sense of collaboration between planning and field technicians. See how a collaborative approach to implementing speech analytics has lifted retention six points in the first teams and transformed operations at Sky Save, for both customers and colleagues. 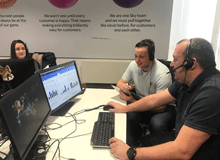 Collaborating with stakeholders business-wide, Sky’s iAnalytics team has generated insight where it matters most, serving as the foundation for innovations including a new Awesome Conversation coaching framework. See how a new end-to-end planning tool has delivered consistency, control and agility whilst freeing up time to transform the role of the planning analyst at Barclaycard. They took the bold step of adapting Anaplan to build a pioneering, strategic capability that links Workforce Planning with Finance & HR. Robust audit, governance and knowledge sharing is driven by a rule-based modelling platform and a central database. This removes single points of failure and frees time for added-value tasks. Opportunities this month include: Resource Planning Manager, IVR/ACD Telephony Developer Senior Enterprise Resource Planning Analyst, Senior Forecasting & Planning Analyst and Forecasting & Capacity Planning Analyst Organisations including: Firstsource, ADT and Captia Life & Pensions. Newcastle-based software firm, CustomerSure have been named "BEST CUSTOMER FEEDBACK SOLUTION" in Call Centre Helper Magazine's annual Contact Centre Technology Awards. Voted on by workers and managers in the Contact Centre industry, these awards reflect the views of the hard working people who power our contact centres, not a team of 'industry judges'. In Calabrio's latest research report, Are You Listening? The Truth Abut What Customers Want in a Digital World, learn from 3,000 consumers in the U.S and U.K about the customer experience and what motivates customer loyalty. The Global Customer Experience (CX) Benchmarking Report is widely acknowledged as the most useful, authoritative and comprehensive report of it's kind. It's designed to provide a single point of reference on all of the key aspects affecting today's CX, digital and contact centre industry. 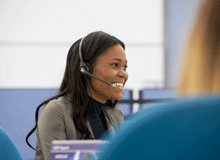 Investing in new Contact Centre technology is essential - but if our customers struggle to use this technology, getting a return on investment can be difficult. Join one or more of egSolutions live webinars and find out how to simplify, modernise and automate your customer engagement. Register now to text your customer engagement to the next level.